Spinal Column Radio, episode number twenty. Welcome back once again to our 5-part, Vintage 1931 B.J. Palmer Radio Broadcast Series…. this is Part 4. 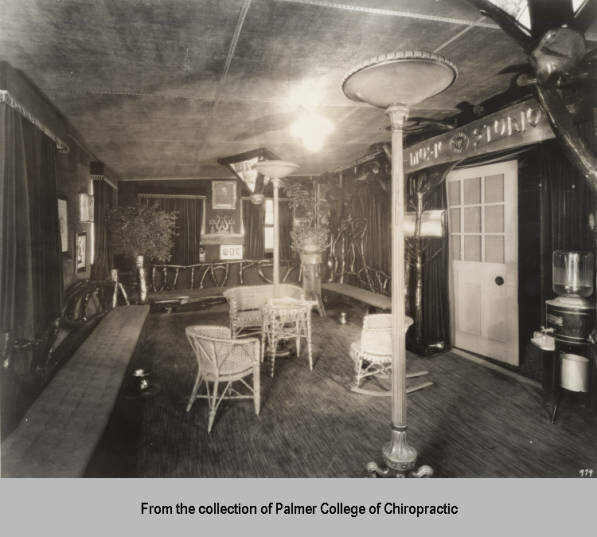 Dr. BJ Palmer has been called the “Developer of Chiropractic”…. Primarily because, he took the healing art of Chiropractic that his father, DD Palmer, founded in 1895 and basically “sold it” to the masses. And while I realize that at first blush that may have a negative connotation for some, whether you realize it or not, salesmanship is something we interact with everyday…. Whether we are the ones that are faced with a decision to make or are trying to help someone else arrive at a decision, it’s part of our lives — everyday. And history has shown that just because a service or product is good — if not superior — does not mean that it will be bought…. that is unless it is effectively marketed. Take for example the Video Tape. Remember the battle between VHS and Betamax in the 70’s and 80’s. Betamax, in many ways, was superior to the VHS tape. It had better picture quality, better sound, better tape wear, faster transitions between stop, play and rewind or fast forward, and had digital freeze frame. The tape decks themselves were of superior engineering and many are still working today. So, if it was clearly better in so many ways, why did it not become the format of choice back then?…. Well, I’m sure there are multitude of reasons, but the main one… marketing. And VHS had garnered so much momentum and market penetration that it became the standard among the masses. And once a product or service obtains that status, even if it’s not the best of choices, it takes a lot to knock it down. Well it’s no secret that BJ Palmer possessed a talent, a “gift,” of salesmanship. And it was this gift, if you will, that prompted him to purchase Radio Station WOC — the second commercial radio station in the nation — and to utilize it to promote Chiropractic. 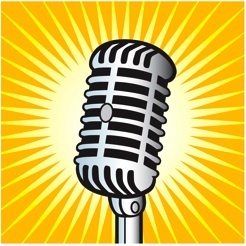 And it was this “gift” that allowed him to author the text Radio Salesmanship — a text that would become an industry standard and allow him to educate and interact with hundreds of radio stations around the world…. And I’m going to go ahead and share some of this book with you a little bit later on in the program. But, ya, BJ was an excellent salesman. Even the American Medical Association conceded in 1928 that when it came to salesmanship, “BJ was a success.” Of course, that was the only kudo they offered. 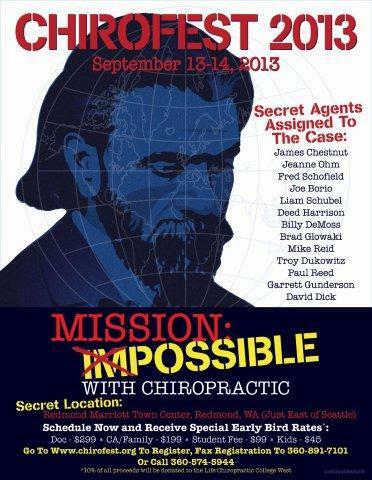 And how did he use Radio to improve the public’s awareness of Chiropractic? Well, one way was through his regular Chiropractic Educational Programing. 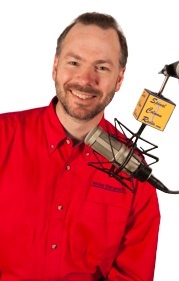 And today thanks to Midland, Michigan antique collector Todd Waters, we have the privilege of listening to the Developer of Chiropractic himself, a man who understood the art of salesmanship, Dr. BJ Palmer deliver one of his broadcast educational talks…. a talk that he deliver in 1931. And what’s so exciting about this is that the fact that we are able to actually listen to this is extremely rare. Because these recordings, as Mr. Waters explained in our last episode, may have very well been the only copies available. In other words, there were no duplicates. In part one of our series, I shared how, upon finding these rare recordings… he digitally recorded and remastered them and then sold copies on the Internet. 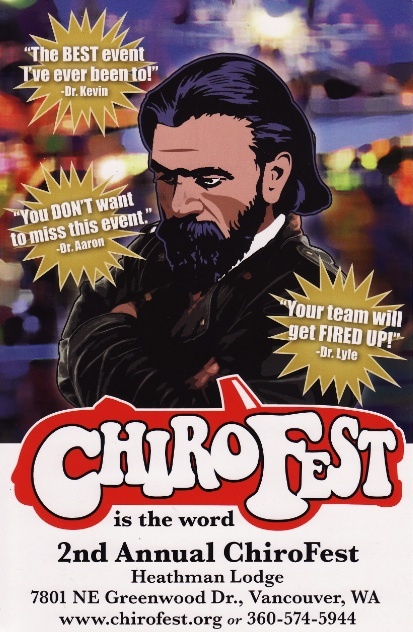 This not only allowed more people the opportunity to listen to this bit of rare Chiropractic and Radio History, but from an entrepreneurial standpoint this was a creative way to monitize his find…. BUT, from a historical standpoint, his digitally recording and remastering these records — as he’ll explain — was an absolute necessity. Mr. Todd Waters: They were very fragile. They were made out of shellac, which really wasn’t meant to last like today’s records. I knew mailing them… they’d probably be destroyed if I even attempted to mail them. I just knew I had to record these right away. I knew number two was already destroyed. Number three had a crack in it all the way across. The only thing holding it together was the label. I was afraid of even handling these records. Even if you picked it up by the edge, they could break. If you dropped them they would break. You had to just be extremely careful with them. Dr. Lamar: Mr. Waters shared that in his digitally remastering these records, his goal was to make the recordings as clear as possible — taking out some of the more obnoxious clicks and pops — without loosing the vintage feel that only an old-time 78 record can produce. I think he did a great job. And of course, if you been following our series, you know that Mr. 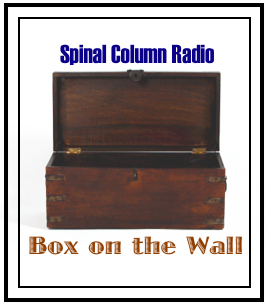 Waters has decided to no longer sell these recordings, but, instead, has opted to give this piece of Chiropractic History back to the Chiropractic Community and public at large through our SpinalColumnRadio.com podcast. Announcer: It is my pleasure to introduce Dr. BJ Palmer, president of the Palmer School of Chiropractic. Dr. Palmer has developed the principles and practice of Chiropractic, and is recognized as the world’s foremost authority on Chiropractic. His subject is: The Spine and Health. Dr. Palmer…. Dr. BJ Palmer: People find it difficult to understand why the Chiropractor confines his work to the spine when remote parts of the body are dis-eased. Superficial thought would indicate that the organ or part effected should be dealt with. But a thorough consideration will convince the unprejudiced that, if the cause of dis-ease is due to pressure upon nerves as they emit from the spinal column, it is quite logical to confine one’s efforts to the spine for correcting the cause by adjusting the vertebral subluxation that is creating the pressure. People do not find anything strange or unusual in the procedure of pushing a button in the wall and getting light from the electric globe suspended from the ceiling, because contact is made which forms a connection between the source of the current and the globe itself. This procedure is practically the same as that which the Chiropractor follows in adjusting the vertebral subluxation that is creating pressure on spinal nerves. They may be compared to a complex system wherein the brain is the source of the vital nerve energy responsible for all function in the body. This vital nerve energy sent from the brain through the nerves may be compared to the electricity in a lighting system. It makes no difference whether it be the heart, stomach, kidneys, or some other organ. The normal function of all organs, muscles, and tissues of the body depends upon the supply of vital nerve energy conveyed to them over the nervous system from the brain which generates this nerve energy. The cause of dis-ease is due to the subluxation of vertebrae which produce pressure upon nerve trunks and interfere with the transmission of vital nerve energy. Therefore, Chiropractic locates the point in the spine where nerve pressure exists due to a subluxated vertebra and by proper adjustment restores such subluxated vertebra to its normal position; thus, releasing pressure on the nerves involved and removing the cause of dis-ease in the body. When this is accomplished, health is the natural result. The average person who is sick may have a general understanding of the functions of the various organs of the body. The same as the average automobile owner may possess general knowledge and understanding of the mechanical construction and operation of his machine. However, if something goes wrong and the efficient operation of either the human or the machine is impaired, the wise individual engages the service that has demonstrated its ability to correct the cause of the problem. Results naturally count. Nowadays, the motorist who has occasion to travel extensively is interested in the mechanical performance of his automobile, in road conditions, and the shortest route from the place of starting to the point of destination. He invests in a roadmap, figures his mileage, selects the best roads, and thus saves money and reaches his destination in the most safe manner. Chiropractic offers to the sick the best and safest Road to Health. Thousands of men and women who had given up hope of being restored to health have been made well with a competent application of Chiropractic. Medicines and drugs never cured anyone. Medical authorities admit that. Instead of seeking to treat with effects, the Chiropractor finds the cause — to the effect known as “dis-ease” — and by proper adjustment to adjust and correct that cause. Every man, woman, and child should realize the health benefits obtained by keeping the spine in normal condition. Consult a responsible Chiropractor in your community and have your spine competently analyzed. In the preface he wrote: “In Radio Salesmanship, author suggests writing and rewriting copy many times, each time eliminating surplus words, boiling down essence of thot and expression; cutting negatives; building for ear-language, etc. “In writing Radio Sponsors [which is the largest chapter in his book], this has been done. Palmer reminded his readers that “Words cost big money.” And that they should “Spend expensive words wisely.” With broadcasting codes limiting commercial times per show, Palmer wrote: “To cut a commercial by one-half, is to double value of words. “Briefing copy increases sales value of words used, because you cut cheap, non-selling words, thereby increasing sales value of sales words. “If a copywriter, or announcer had to buy words at radio market costs, as he wrote or spoke them, he’d be very economical in their use. He’d make every word sell itself to sell object on sale. I recall, reading in one of the history sources I found online … although I can’t seem to find it again… that one of the employees of the WOC remembers that Palmer would regularly check on the copy-writing that was going out over the air and would make recommendations right there on the spot on how to cut words and make the copy more positive. Palmer was against his announcers stating the obvious… because it was redundant and did little to advance the objective of what was being told. In his book he talks about many “right” and “wrong” techniques. Or… “This program is coming to you thru radio station…” Palmer would say: to eliminate it all together because it is a costly waste of words and time — and it states the obvious. Palmer would say, “Time — 12:30.” Two words saved. Announcer: It is a pleasure to introduce to this radio audience, Dr. BJ Palmer…. 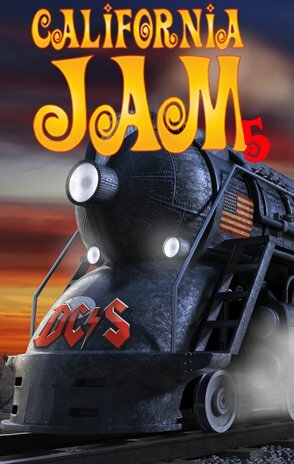 Announcer: It is my pleasure to introduce to this audience, Dr. BJ Palmer…. Announcer: It is my pleasure to introduce, Dr. BJ Palmer…. He was also big on “positising” copy. In other words, finding ways to say the something without utilizing negative wording. Palmer wrote that “Successful business men think, speak, write and act positives…. Few people are are salesmen. This is because many think, speak and act negatives. He’d quickly distill it down to: “Try Kolar-Bak.” … Three words from what used to be 24…. devoid of Goat Feathers and stated in the in positive. Palmer was known for doing this very well. He even had a free “Corrected Copy Service” that he offered those in the Broadcast Industry. 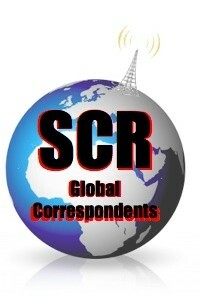 “To further intent and purposes of this book, to be of greater service to radio industry, author, within limited degrees, will go over sample commercials submitted. “He will revise, brief, positivize, and otherwise convert commercials into sales copy thus bring it into conformity with suggestions contained in this book. “Any radio representative, radio agency, radio commercial writer, station manager, announcer or other radio personnel may send same. Announcer:I honestly can’t give you any unusual reasons why thousands of men prefer Tip- Top-Tailored-to-Measure-Clothes above all others. But I do think it’s simply this: These men have found that Tip Top Tailors is the soundest clothing investment that they can make. Tip Top Clothes are always being improved — the value made greater. Only the finest British fabrics at the price are sought and bought. Advancements in styling are constantly created. This is the Tip Top way of doing things — the reason why the Canadian man’s good sense of value has made Tip Top the leader in tailored-to-measure clothes and kept it there. Visit your Tip Top store today and judge for yourself and remember it’s always good style to go Tip Top Tailored! Visit your local Tip Top store on Elm Street, Sudbury. And this is what Palmer had to say: He wrote, “Damnable commercial! That first sentence asserts ‘honestly’, then proceeds to prove himself dis-honest by stating reasons why. He asserts, ‘can’t give you’ and then proceeds to give some. He suggests he ‘can’t give you any unusual reasons’ then states usual ones. The writer of that commercial proves himself a dishonest, negative liar! That opening statement would drive customers from buying. Announcer: I can give you many reasons why men prefer Tip-Top-Tailored-to-Measure Clothes. Tip Top is soundest clothing investment they can make. Tip Top Clothes are improved value made greater. Finest British fabrics are sought and bought. Styling advancements are constantly created. This is why Canadian’s since of values have made Tip Top leaders in tailored-to-measure clothes. Visit Tip Top and judge for yourself. It’s always good style to go Tip Top Tailored at 30 Elm Street East. I’d say that’s a pretty good improvement. Well, one thing is for certain…. Palmer’s talents extended beyond his ability to adjust spines… he was adjusting copy as well. And frankly, I think he and his pen would have a field day with any one of our Spinal Column Radio transcripts… especially this one. Well that’s a wrap for part 4! Thanks again to Mr. Todd Waters for joining us on the program and for sharing his amazing find. 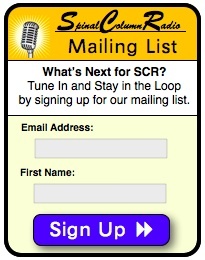 Next time on Spinal Column Radio, it’s the fifth and final installment of our BJ Palmer Broadcast Series. Of course Mr. Waters will join us, and BJ will take to the microphone for a final curtain call…. Plus, I’m going to share a memory in WOC’s history that rivaled the famed Orson Welles, War of the Worlds, October 30,1938 Broadcast. Well do it in a week. So, until then, for my son Logan, tweaking the knobs on the mixer board, this is Dr. Thomas Lamar, your podcast chiropractor.